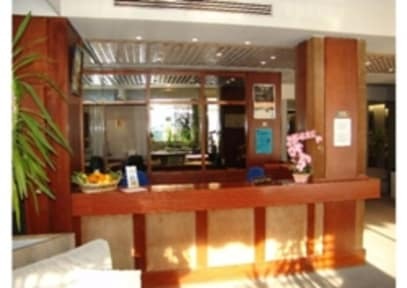 Hotel Chambord i Menton, Frankrig: Reservér nu! 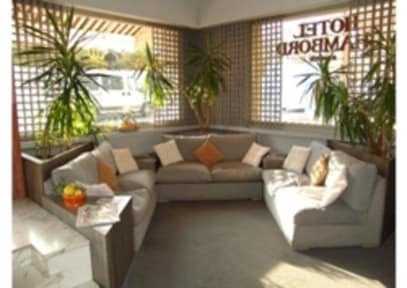 Built according to the latest sound proofed comfort rules, the Chambord hotel offers you peace and distinction in the city center at 100 meters from the sea and from the tennis club (one of the most beautiful in France). All two-bed rooms are provided with bathroom, independent toilet, direct telephone line, television with international channels, radio, mini bar, safe, individual air conditioning and heated systems, equipped balconies in most of the rooms. Diffused music, two floor private garage under the Hotel served by a lift. English, German and Italian are spoken.